Moving out of your home is stressful. There are a million and one things you'll have to ask yourself before and during the move to a new location. "Is this the right timing?" "Did I hire the right movers?" One question that's always top of mind is: "Where will I move to next?" We move to certain neighborhoods for so many reasons, from the school system and local restaurants, to what the climate is like and the distance to your place of work. However, one factor that so many of us discuss—but have a difficult time putting our finger on—is charm. 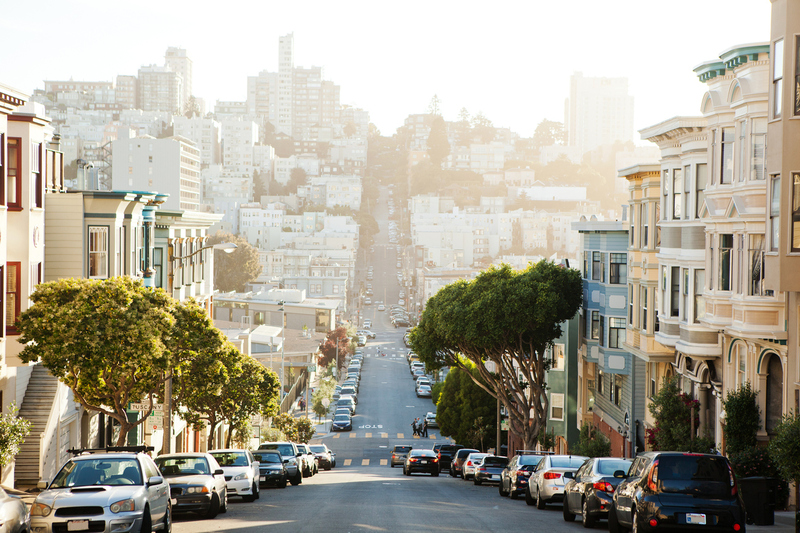 A charming neighborhood is something you need to experience more than have described to you. In the past, you really needed to walk around an area to know if you found it charming. That's why RentLingo—an apartment rentals search engine—created a tool that analyzes big data to show users how charming a particular neighborhood is. How local are the businesses? How well are they liked by residents? What kind of local institutions and amenities are nearby? Parks? Museums? Universities? Is it inexpensive or expensive to live within the neighborhood? What is the crime rate of the area? What kind of emphasis does the neighborhood put on health and environmentally-friendly modes of transportation? Some of the most charming neighborhoods in the country, according to the Charm Index, include Hayes Valley, San Francisco; Near North Side, Chicago; Silver Lake, Los Angeles; and the Greenwich Village in New York City. 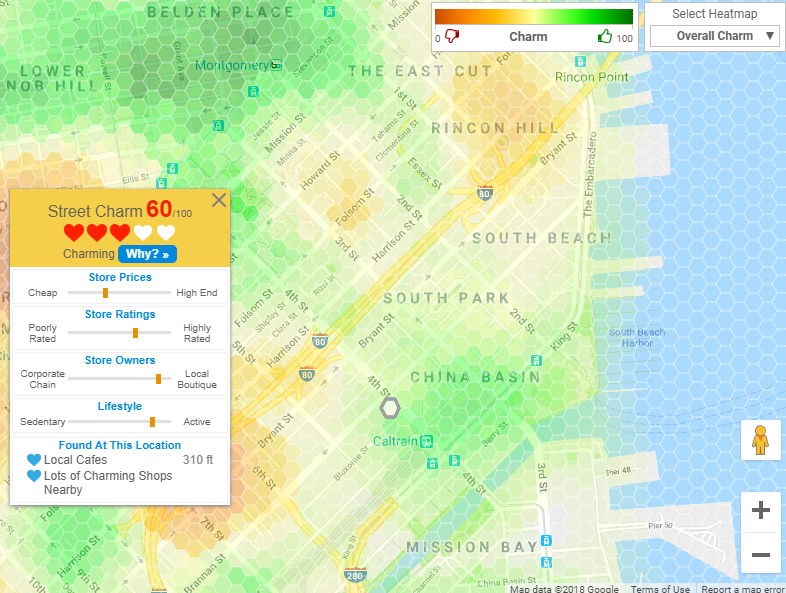 Below is an example of what RentLingo's Charm Index "Heatmap" looks like. Like standard Google Maps, it's interactive, so you can zoom in and out on any neighborhood in the country and click to reveal its rating. To use the tool and for a full breakdown of the site's methodology, visit RentLingo.com.